This is a jewel in the crown of the Art Department, the intricately detailed, spectacularly constructed model of Hogwarts Castle. For the first film, Harry Potter and the Philosopher’s Stone, many close-up scenes of Hogwarts were shot on location, but the script also called for sweeping wide shots of every courtyard, tower and turret. To create those shots, the film’s artists built this 1:24 scale model based on Stuart Craig’s initial sketches and filmed it against a greenscreen. 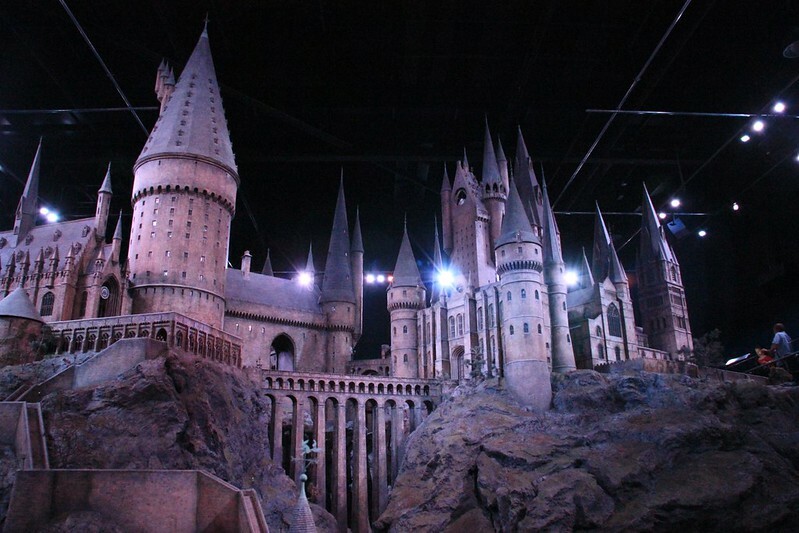 The production shots of this incredibly detailed model were then combined, using digital effects, to create unforgettably realistic views of J.K. Rowling’s magical school. – A team of 40 artists and crew-members built the first version of Hogwarts castle for Harry Potter and the Philosopher’s Stone. – More than 50 sculptors, painters and other artists maintained the castle during production. – To make Hogwarts appear even more real, artists borrowed real courtyards from Alnwick Castle and Durham Cathedral where scenes from Harry Potter and the Philosopher’s Stone were shot. – Model makers installed more than 300 fibre optic lights that simulate lanterns, torches and even the illusion of students passing through the hallways. – Artists used real gravel for rockwork and boulders and real plants for landscaping and trees. Everything is perfectly hand-sculpted to scale. – The Hogwarts landscape is inspired by the Highlands of Scotland including the regions of Glen Nevis, Glen Coe and Loch Shiel. Image published by Karen Roe on 2012-07-10 17:21:20 and used under Creative Commons license.